November 1940. "Tulare County, California. 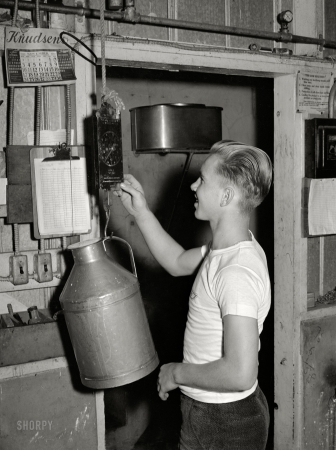 Son of worker weighing up milk at Mineral King cooperative farm."